Marytown – The National Shrine of St. Maximilian Kolbe, is located in Libertyville, IL in the Archdiocese of Chicago. 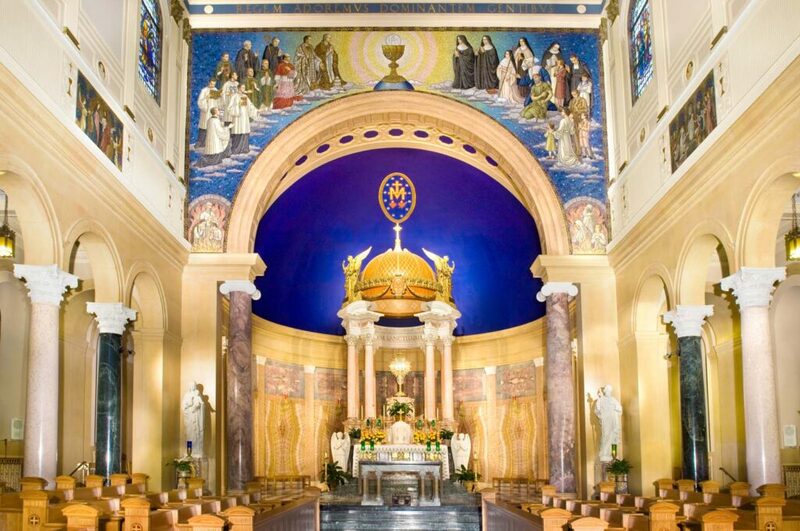 Marytown is a place of pilgrimage for the faithful and is dedicated to promoting the witness and life of St. Maximilian, a Conventual Franciscan friar and priest, martyred at Auschwitz. 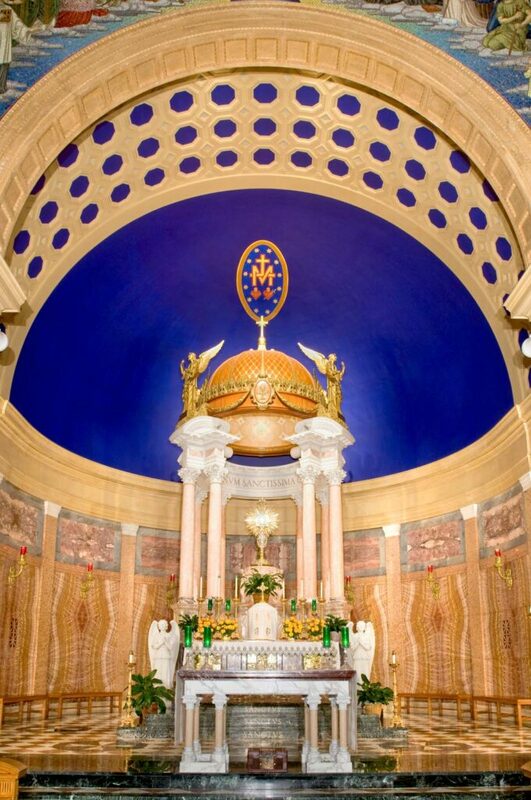 At the very heart of Marytown is Our Lady of the Blessed Sacrament Chapel, considered one of the most beautiful pilgrimage sites in the nation. 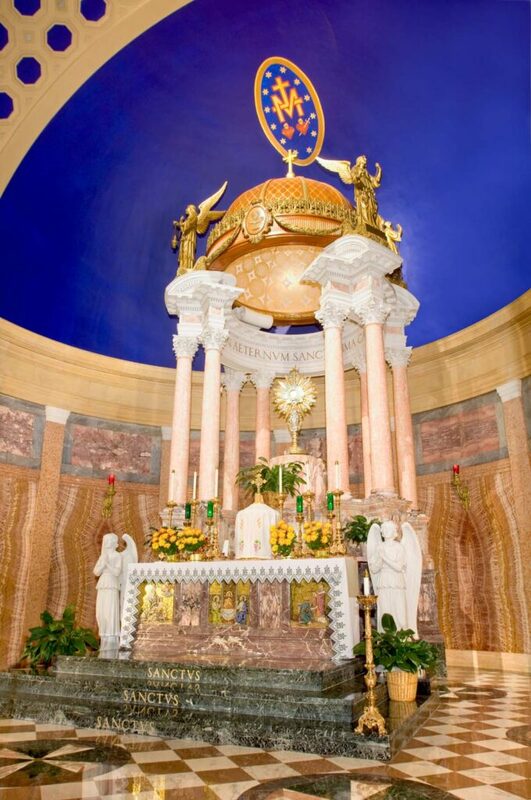 The Chapel has been a sanctuary of perpetual Adoration of the Blessed Sacrament since 1928. The Chapel is open to the public 24 hours a day, seven days a week, for Eucharistic Adoration and prayer. Daprato Rigali performed the complete restoration of The Chapel. We began the process by cleaning every surface of the interior chapel including all of the Italian marble and the intricate mosaics found throughout the Chapel. Part of the ceiling had fallen down and been damaged, and we repaired all the plaster, paint and gilding on the ceiling. 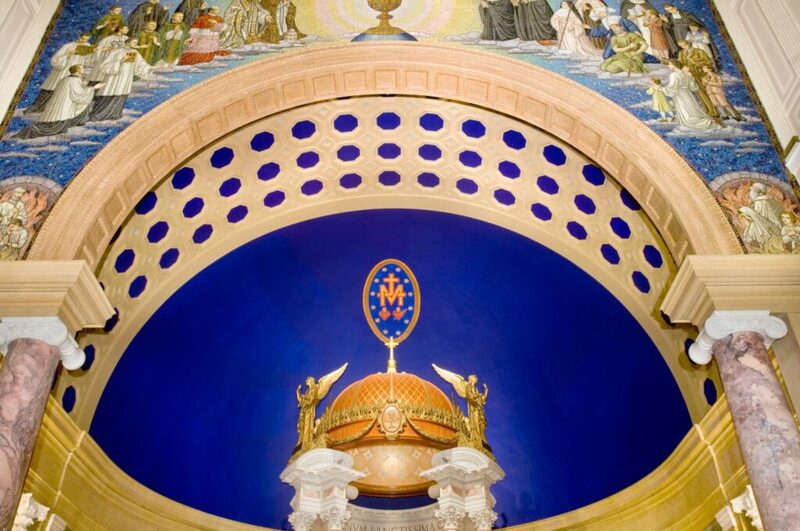 Daprato Rigali also provided several new furnishings for the sanctuary, designed and implemented new stencil work in the chapel as well as provide the new blue painted ceiling in the sanctuary. 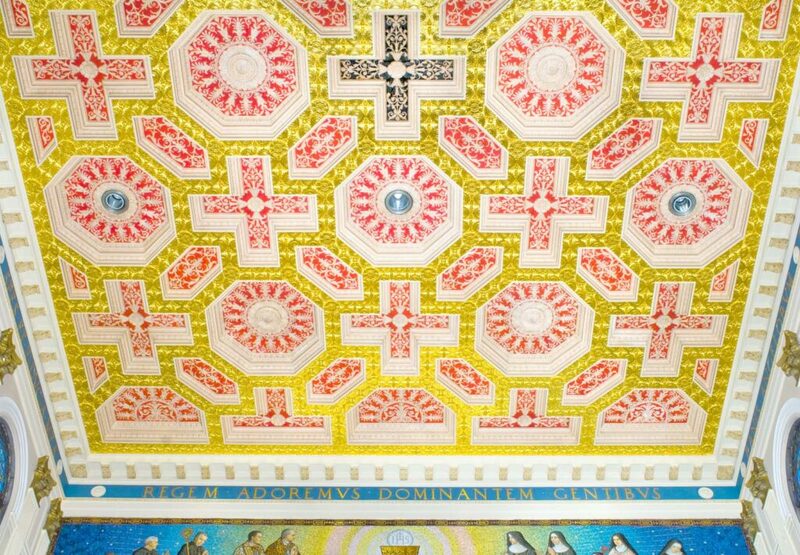 The Chapel ceiling, however, is one of the most beautiful and ornate ceilings that we have decorated and its intricacy and color composition is truly a sight to behold. 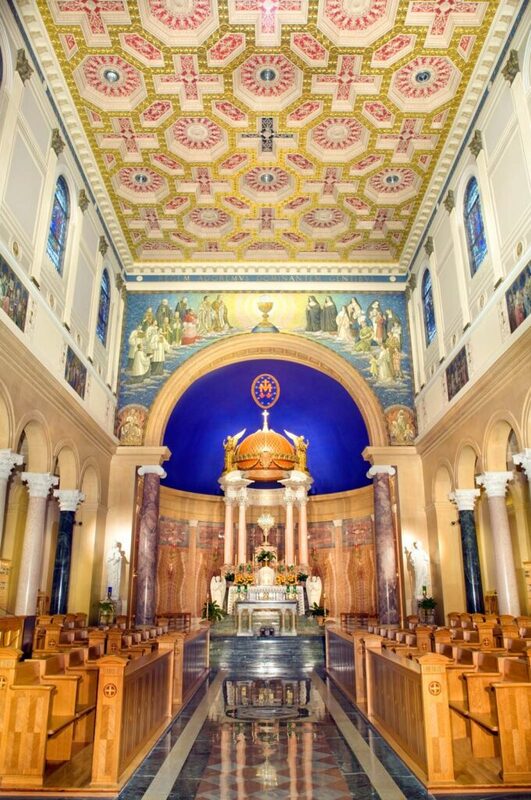 Daprato Rigali was also honored to work with the different people at Marytown who helped contribute to the success of this restoration project.